Did you know that a burrowing owl imitates the sound of a rattlesnake to fool potential predators? 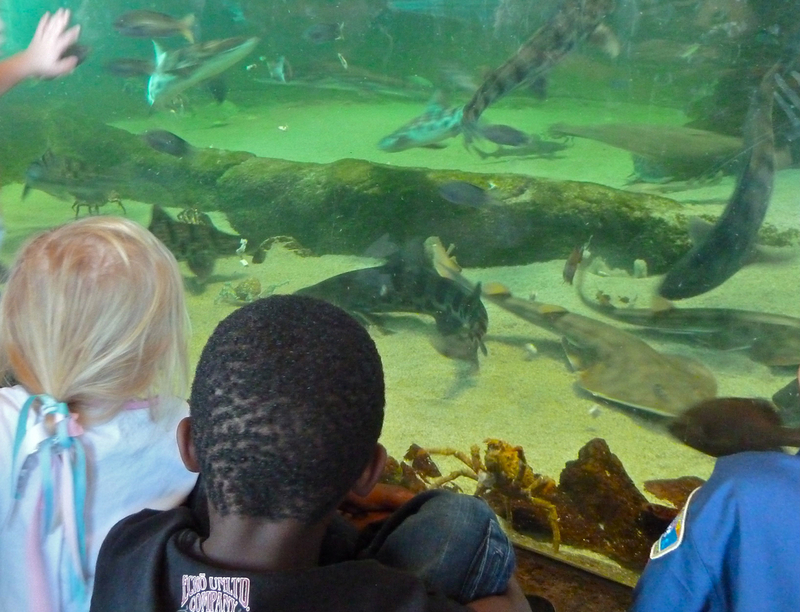 You’ll hear the proof at the Living Coast Discovery Center (LCDC) in San Diego’s South Bay. Formerly known as the Chula Vista Nature Center, this 25-year-old attraction is an internationally recognized non-profit zoo and aquarium that focuses on plants and animals native to the San Diego region. 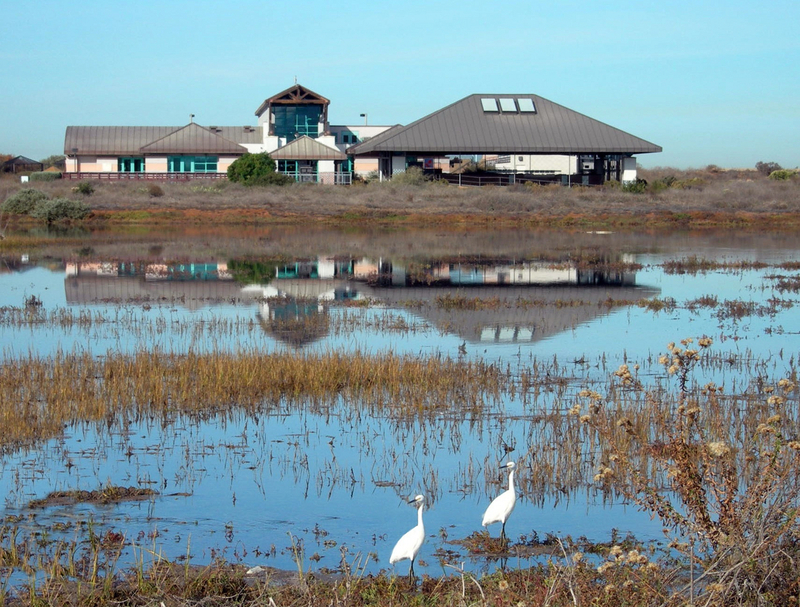 It sits on 3.3 acres on historic Gunpowder Point and is part of South Bay’s 300-plus-acre Sweetwater Marsh National Wildlife Refuge. Visitors won’t be overwhelmed here. It’s easy to see everything – at a relaxed pace – in a single morning or afternoon and still have time to leisurely wander the 1.5 miles of marsh hiking trails. 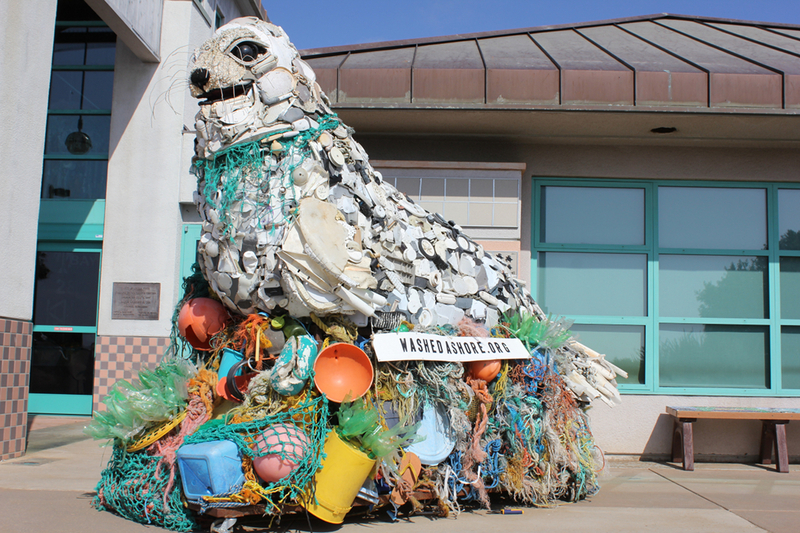 Through September 3, check out Washed Ashore: Plastics, Sea Life & Art, a nationally acclaimed art exhibit with massive sculptures and smaller art pieces made entirely of debris collected from beaches. The exhibit, which includes weathered synthetic ropes, nets, abandoned toys, cigarette lighters, flip-flops and Frisbees, is designed to bring attention to the global crisis of ocean pollution. It goes on a worldwide tour after its LCDC engagement. At the center, visitors can experience up-close encounters with everything from hawks to green sea turtles (their daily feeding time is at 1:45 PM). They can spy on huge spiny lobsters – and a local rattlesnake, kept safely behind glass. Walk through the Shorebird Aviary – and be on the lookout for clapper rail chicks. Visit Eagle Mesa at 3:30 PM feeding time to interact with keepers and learn more about resident bald and golden eagles. Pet stingrays like those that inhabit local waters – and check out their ocean-going buddies, including sharks and jellies, all serenely swimming behind glass. There’s no restaurant at the center, so bring a picnic to enjoy on one of several observation decks. Savor views of Downtown, Coronado, the bay. Or settle marsh side and view graceful herons in flight across the grassy wetlands or perhaps spot a red-tailed hawk swooping down for a midday snack. 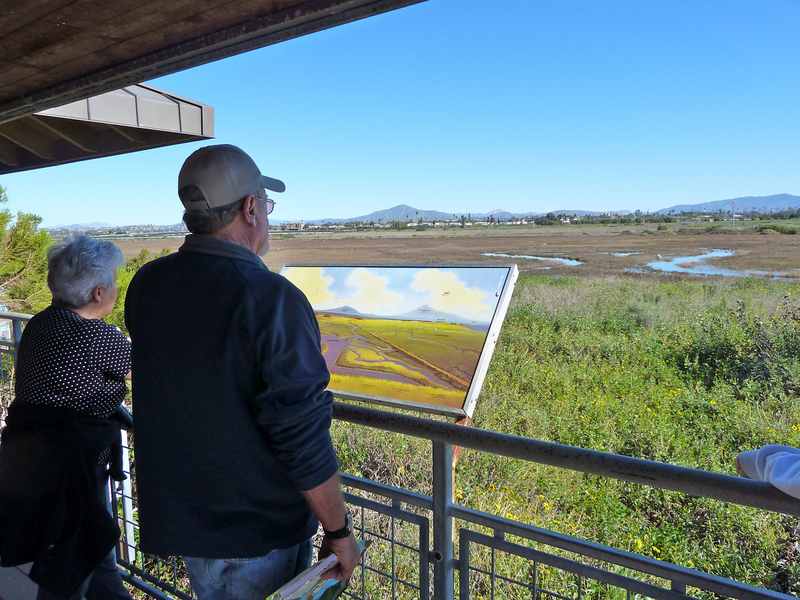 Bird watchers have spotted more than 200 species from the center. There’s cool gift shop, with educational books, games and toys. 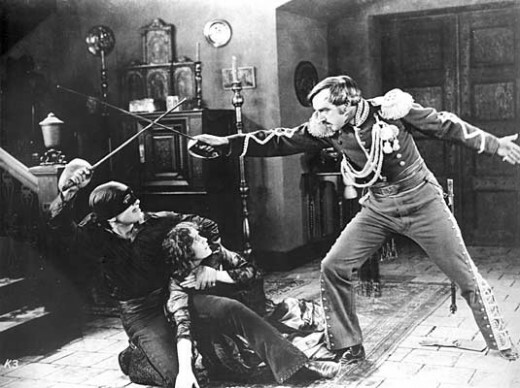 Starring Douglas Fairbanks and Noah Beery, The Mark of Zorro is a swashbuckling adventure from 1920, set right here in Southern California and accompanied by the mighty Fox Theater pipe organ. Movie starts at 8:00 pm on Saturday, March 10th at the Copley Symphony Hall. 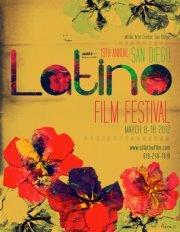 Starting March 8 and running through March 18th is the 19th Annual San Diego Latino Film Festival at the UltraStar Mission Valley Cinemas Hazard Center. There will be over 20,000 attendees and 150 entertaining and award-winning movies including a new sidebar dedicated to horror, sci-fi, and films that simply defy categories, labels and conventions. 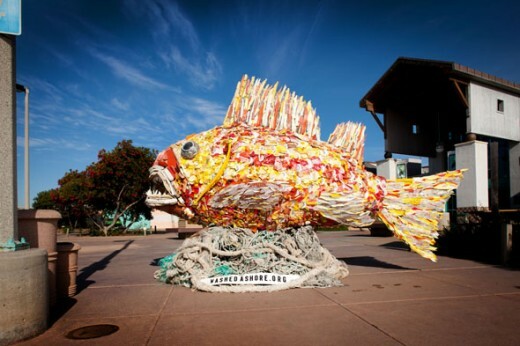 Fifteen extraordinary marine life sculptures with trashy origins will be displayed at the Chula Vista Nature Center. Tons of plastic pollution was used to create monumental sculptures that are awakening the curiosity and minds of citizens to the marine debris crisis. Exhibit runs through September 3, 2012. From the beloved novel that inspired the Academy Award-winning film comes an enchanting new musical. Comic, romantic, satirical and real, A Room with a View blends a gorgeous score with this timeless story that gives a new voice to these unforgettable characters. Playing at the Old Globe in Balboa Park March 2-April 8, 2012. Spend the evening laughing with Christopher Todd Titus at the American Comedy Co. You may remember him from his hit show Titus. Shows are Friday-Saturday 8:00 pm and 10:00 pm; and Sunday at 8:00 pm. Tell us in the comments below, what do you have planned for the weekend?